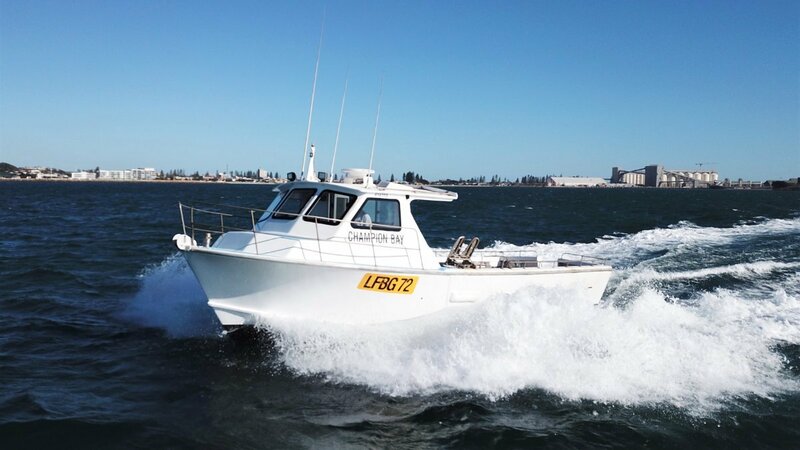 Champion Bay is a very tidy Randell 36 commercial lobster fishing vessel with a full refit and renovation in 2015. At this time a new Caterpillar C9 575HP turbo diesel engine and Twin Disc gearbox was fitted which has turned "Champion Bay" into a whole new beast. She gets up and goes, easily reaching at least 24 knots, with a quick cruise speed of 20 knots, burning 50 L/hr, or comfortably sit on 16 knots @ 1800rpm burning 40L/Hr. The CAT C9 has done just 1370 hours from new, with a lifetime fuel burn average of just 17L/Hr. Hull, decks and wheelhouse all resprayed and re-glassed. The vessel has been configured for single-handed fishing and makes for a seriously reliable small volume day boat. In AMSA 3C survey to 30nm for 4 crew, current until April 2021. - C-Plot navigation and GPS with Furuno FCV-1150 sounder. - Dual helm stations with TwinDisc electronic controls. - Forward V berth accommodation for 2. - LED floodlights forward and aft. - Turn key fishing vessel ready to go to work! For more information on this brilliant little Randell, please contact Matt or Tom Lovelady (08) 9243 6373 or sales@oceaneermarine. Com. Au. Vessel is located in Geraldton WA. Bookings for inspections are a must.